Seeing the Cherry Blossoms is an annual tradition. When I wasn't engaged yet, I used to stop by the Tidal Basin after work and spend the evening just walking underneath the beautiful blooms. It's a great thing that Kepi is also into the Cherry Blossoms, so when we finally got the time last weekend, we made the trek to DC with mom. I think that I'll never cease being amazed at how beautiful these blooms are. The word "beautiful" is not even close to describing these flowers, but perhaps heavenly is a more appropriate word. When you walk underneath the fully bloomed trees and the sky is covered with white and soft pink blooms, it's an out of this world experience. Walk with me underneath the Cherry Blossoms. I see balance and perfection on this tree. A painting come to life. Flowers from the Cherry tree's trunk. I cannot believe how beautiful the trees are looking. They look almost unreal in their beauty. I agree. They're really beautiful, and we get to enjoy them at least two weeks annually. I with they'd bloom like that the whole year. it's been raining since yesterday yet i read somewhere that the cherry blossoms fest starts this week.. The Cherry Blossoms here bloomed a week early because of the warm weather. I do hope you'll get some sun soon so that you can all go out and enjoy the blooms. Regards and hugs given to Mom. i remember last year, you had the same kind of post, cherry blossoms. Yes, we go to the festival every year. For us, it's a must see. Beautiful photos! 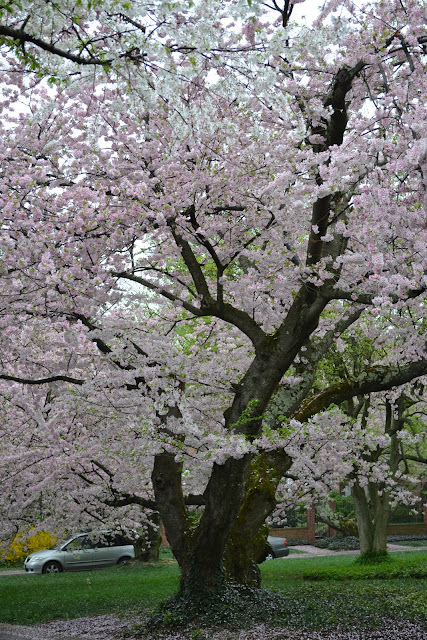 The cherry blossoms are so dreamy - parang the perfect setting for a romantic wedding. I've fixed the comment link for my craft blog. Thank you for letting me know. Oh I hope you'll come to DC soon. We can meet and hang out. Really nice. :-) This was my third year seeing the Cherry Blossoms. A stunning site to behold for sure! The Blossoms are always stunning - every year. Hi Kate, Actually, that's a good question. These Cherry Blossom trees here in DC were gifts from the people of Japan. I know. I say the same thing when I plan a trip to Asia. I still hope you'll visit DC someday. Hi Amelia, I'm sorry to hear that your trip to Japan didn't push through. I hope you'd be able to go next year in time for the Cherry Blossoms. I also wanted to visit Asia this year but it's just too expensive. ohh. so beautiful. i love it.